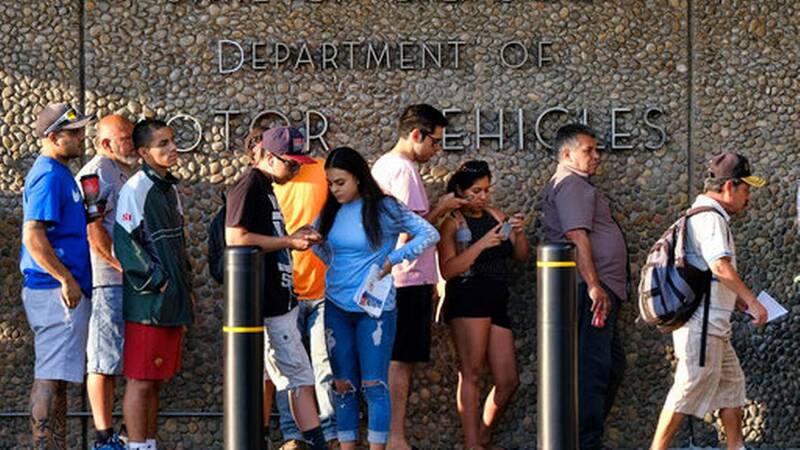 In a budget hearing on Tuesday, the Department of Motor Vehicles expressed opposition to a possible audit, calling the proposal a "strain" on resources that would take the department's focus away from reducing wait times. "An audit would require us to redirect the resources we currently have dedicated to reducing the wait times," said Director Jean Shiomoto. "Any audit, you have to pull a lot of documents. Different people working on different projects would be redirected to responding to an audit. ... It would strain our resources." Assemblyman Jim Patterson, R-Fresno, was to present an audit request at 9 a.m. today to demand accountability for what he views as a deeply mismanaged agency. Patterson immediately interjected during the hearing after Shiomoto's remarks. "So you're basically talking about your executives going to have a little more work to do. Is that what you're saying?" he asked. And a whistleblower was set to testify today about what he calls the DMV's outdated technology. By the end of Tuesday's hearing, Patterson said he did not have confidence in Shiomoto's ability to turn the department around. Patterson said he is one or two votes shy of the support he needs for the 14-member Joint Legislative Audit Committee to approve his audit request. But he is hopeful the hearing will sway a couple of Democrats, as at least one whistleblower comes forward to testify. During the budget hearing, Shiomoto asked the committee to provide $26 million in additional funds for the DMV to hire 400 additional employees. "We would like to have the ability to have $26 million available as we continue to ramp up and see increasing customers coming," Shiomoto said. Her request was met with initial skepticism, as lawmakers from both parties said they'd like to see a formal proposal before reaching any decisions. "You've got to put an ambitious goal out there to reach it," Shiomoto said. "That is what we are definitely working to achieve." Cullen Grant, a whistleblower set to testify during today's audit hearing, said more employees won't solve the underlying problem contributing to increased wait times. Grant has worked at the DMV for 13 years, including the past seven as an office manager in Los Angeles. He said outdated technology is to blame, citing a decades-old management system. "They're doing all this mass hiring, but it's not fixing the problem," Grant said. Eight members will need to support an audit request in order for it to be referred to the state auditor, which will be a challenge considering only five Republicans are on the committee. Since Wednesday's hearing takes place in a joint committee, additional rules hurt Patterson's chances. It needs support from four Assembly members and four senators. Because there is one vacancy in the Senate, four of the six members will have to support it. "I want to give all of the members the opportunity to hear our presentation," Patterson said. "We have got dramatic testimony that I think is going to shake confidence of the foundation (of the DMV)." (c)2018 The Sacramento Bee. Distributed by Tribune Content Agency, LLC.